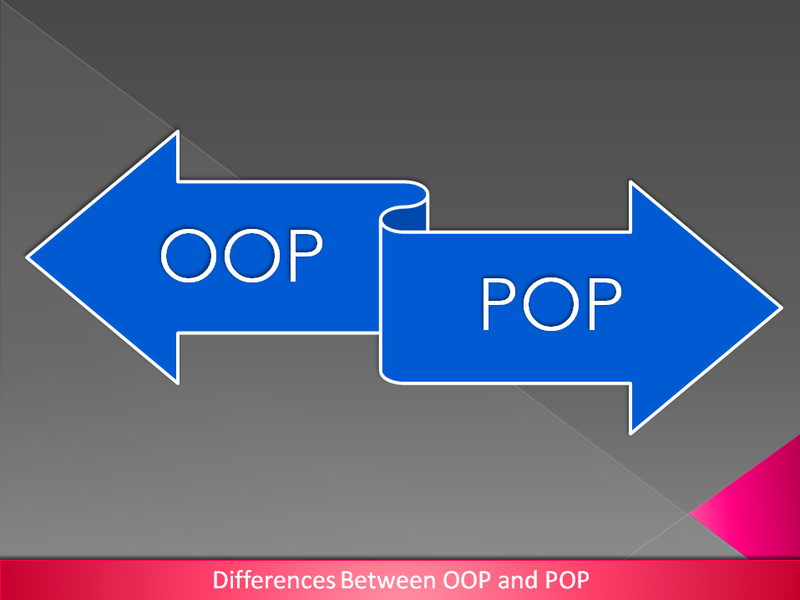 Differences between OOP and POP? Object Oriented Programming: Object Oriented Programming is programming concept which is focused on object rather than actions and data rather than logic. Procedure Oriented Programming: As the name implies, Procedure Oriented Programming contains step by step procedure to execute. Here, the problems get decomposed into small parts and then to solve each part one or more functions are used. 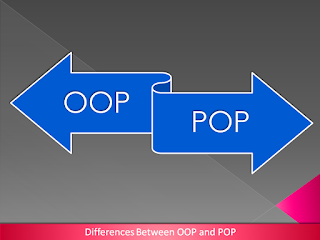 Read More: What is Procedural or Procedure Oriented Programming (POP)? Decompose the main problem in small parts called functions. Decompose the main problem in small parts called objects. Connects small parts of the program by passing parameters & using operating system. Connects small parts of the program by passing messages. In large programs, most functions use global data. Each object controls data under it. Data may get passed from one function to another. Data never get passed from one object to another. Appropriate & effective techniques are unavailable to secure the data. Data stay secured as no external function can use data of an object. Modification of a completed program is very difficult and it may affect the whole program. Modifications are easy as objects stay independent to declare and define. Employs top-down approach for designing programs. Employs bottom-up approach for designing. In large programs, it is very difficult to find what data has been used by which function. As data and functions stay close, it is easy to identify data. Languages like C, FORTRAN, COBOL etc. use POP. Languages like C++, JAVA etc. use OOP. 1. What are the basic features of OOP? 2. What are the main characteristics of POP?